We have established ourselves as coveted organization, involved in offering Inverter Battery Vent Plug. 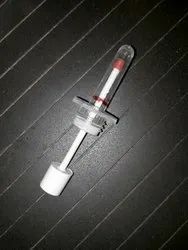 We are offering a wide gamut of Float Indicator Vent Plug in the industry. These offered products have been developed with immense years of industry experience and market understanding. The offered products are known to have precise shape and size. The offered products are presented in a wide range of technical specifications. We offer Porvent Inner Plug in both Hydrophobic and Oleophobic options. These are suitable for fit into a wide variety of Bottles, Jerry Cans and Containers. The plugs have wide compatability with most chemicals. We use world leading POREX PTFE. Our products are tested to meet international standards through a wide variety of rigorous testing. We are a leading manufacturer and supplier of Air Vent Plug. Leading Ceramic Vent Plug Manufacturer. 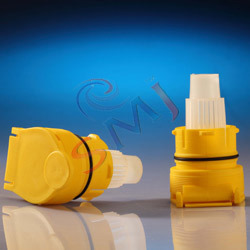 High Quality ceramic vent plugs for betterment of battery. Low water evaporation through vent holes and reduces the water loses. We manufacture the best range of ceramic vent plugs with level indicators using the best quality materials and ingredients. The float height range of the product is 115mm to 160 mm and its thread is M27/M30. Our experts test the products and offer them at an affordable price range with customized solutions. 100% leak proof with high grade elestomer material insert moulded sealed fixed type o-ring for total dry effect.